Sailing along the Ria Formosa is an unforgettable experience on our Eastern Algarve Boat Charters! We offer a variety of boats for private charter, and can tailor cruises to suit your personal requirements! The Ria Formosa is especially known as one of the 7 natural wonders of Portugal, seeing that it consists of 60km long of nature reserve. Its ever changing lagoon system with sandy islands separated by natural inlets and channels is truly breathtaking! If you have ever flown into Faro airport, you probably have seen it laid out before you as you are landing! 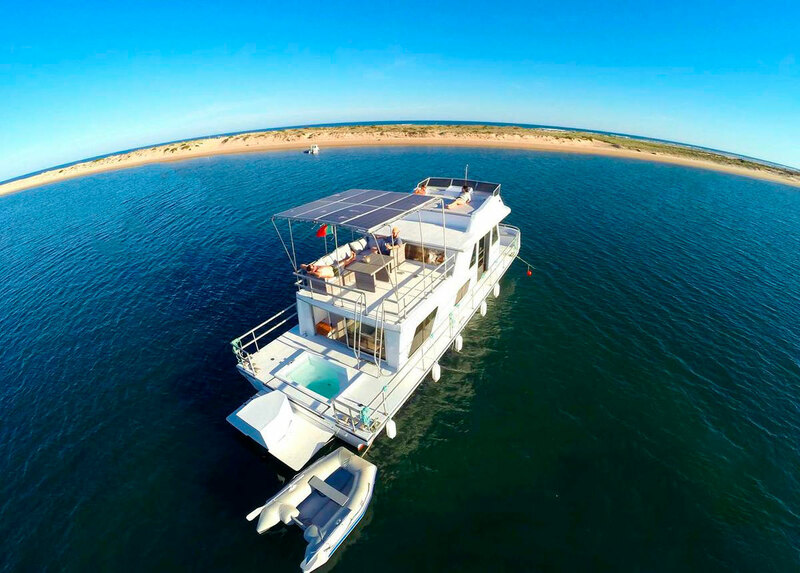 Why book our Eastern Algarve Boat Charters? It is a fascinating area to visit with an abundance of wildlife both in the air and especially on the water. On our Eastern Algarve Boat Charters, you will also get to watch local people fishing and gathering seafood in the lagoons! Most of all, this is a paradise for birdwatchers and nature lovers. A beautiful, tranquil place to relax and play far from the crowds! There’s lots to do on our Eastern Algarve Boat Charters! Firstly you can enjoy the amazing surroundings. Secondly, the calm waters are perfect for a refreshing dip in the sea. 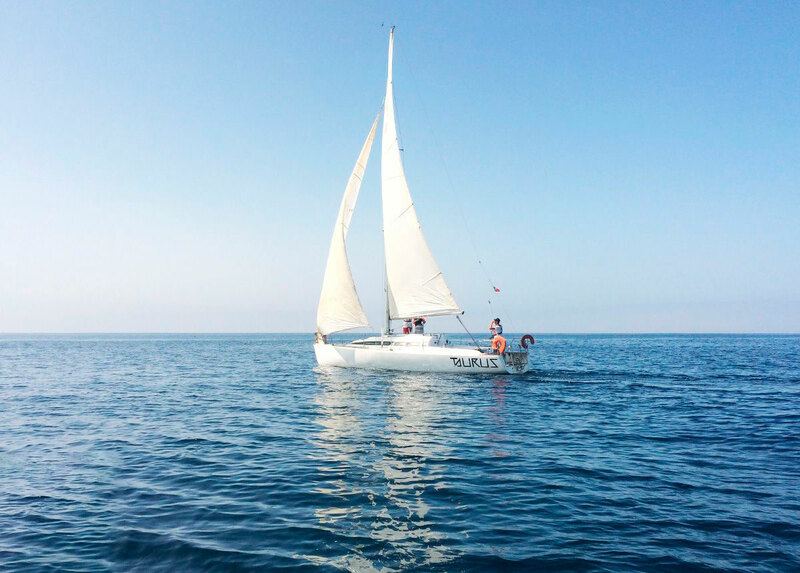 Even more exciting, you can try your hand at sailing with our skippers! Are you travelling on a budget? No problem! We offer a variety of public cruises and experiences at affordable rates – follow this link to learn more! If you’re not much of a water person, we do have a wide variety of on land activities as well! Have a browse through our website and let us know what you like! Sail aboard our lovely modern sailing yacht! This yacht takes up to 12 people and we can offer you full day cruises, half day cruises, or even sunset options! This FB35 Sailboat is very stable, at 10,5m long. Inside it has 2 bedrooms, living room, kitchen, bathroom and navegation table. Why spend your holiday in a hotel, if you can spend it on water in one of our amazing houseboats! We offer two options (10person boat and 4 person boat). Both boats depart from Fuzeta and holiday packages, along with activities, can be arranged upon request! 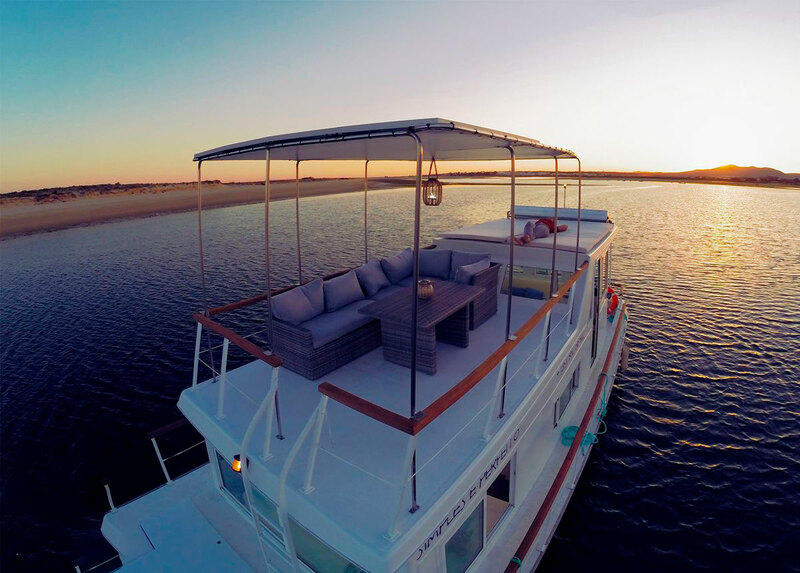 10 person house boat – Located in the middle of Ria Formosa Natural Park, 20 km from Faro, the Houseboat features a terrace with view to the barrier islands and protected wildlife, solarium, 1 suite with bubbling area, 2 WC with shower, 1 double room and a living room. 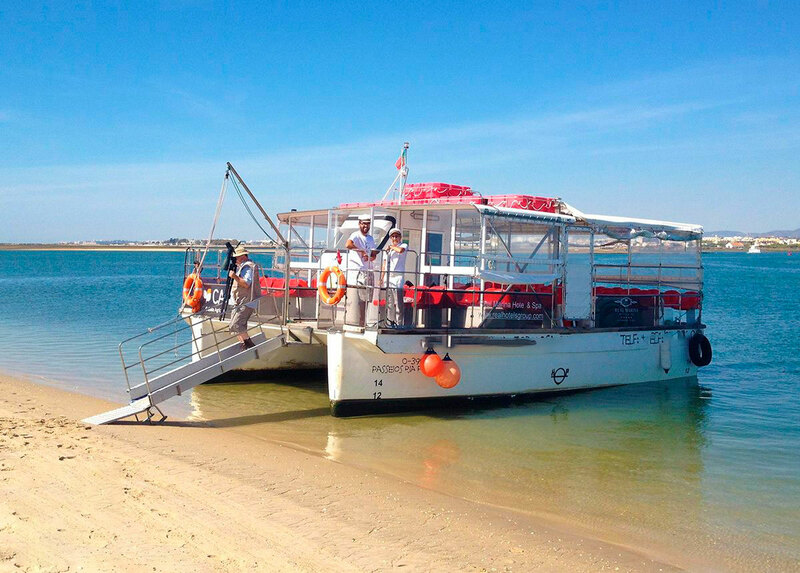 4 person house boat – Located in the middle of Ria Formosa Natural Park, 20 km from Faro, the Boat House features a terrace with view to the barrier islands and protected wildlife. Snorkeling Albufeira Join our Snorkeling Albufeira trips!